In a nutshell, this is the best possible thing that you can do for your company if you are hoping for it become more recognised. 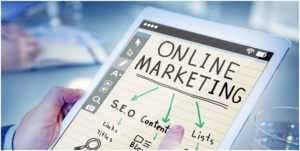 This is because the right online marketing agency will help you to utilise all of the tools that are available to you. Thanks to the internet, you now have the potential to reach more people than you ever thought possible. However, to do so, you must first be able to understand and then employ all of the possible avenues. Doing so is a full-time job which is why handing it over to professionals like Results First is a better option for you. This way, your marketing campaign has a chance to be tailored to your audience as well as advertised on the platforms that are best suited to it. It can actually be quite surprising how little some companies know their audience. If you don’t have the right opinion of the people that you are selling to, how can you create a targeted campaign? Therefore, the first step that you need to take is to gather as much information about your potential clients. This includes what their likes and dislikes are, what they are looking for, where they go for their news, and who they rely on for reliable opinions. All of this material will be crucial for constructing a strategy that will resonate with the people that you actually want to reach. This considerably increases your success rate. Social media is an exciting opportunity for businesses across the world. If you want to be fruitful results, though, you are going to need to know which platform is right for your company. Now, Facebook is currently the favourite, given that it provides access to over a billion people around the world. Depending on the nature of your business, nonetheless, you may find that other platforms can serve you just as well, if not better. For instance, is the product or service that you are selling highly visual? If so, you may find that Instagram offers you an entirely new way to advertise your goods and skills. While having more than one account is certainly wise, you should know which one to largely focus on. The beauty of online campaigns is that you actually get to see whether or not your strategy is working. There are a variety tracking tools at your disposal that will help you to determine if any of your tactics are being converted into sales. If the news is positive, then this is excellent and you can continue on in the same vein. If the outlook isn’t bright, however, don’t be afraid to head in a different, more positive direction. All of these relevant guidelines will help you to have a much more successful campaign.